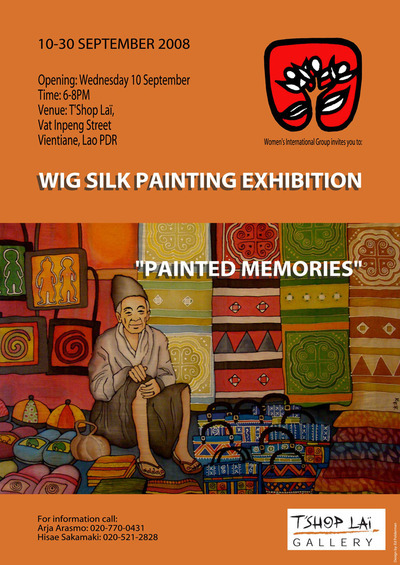 A photo contest in Vientiane (opening soon). The Jicafé in Vientiane placed an ad in the Vientiane Times: how is environment in Laos like, when you see Laos? 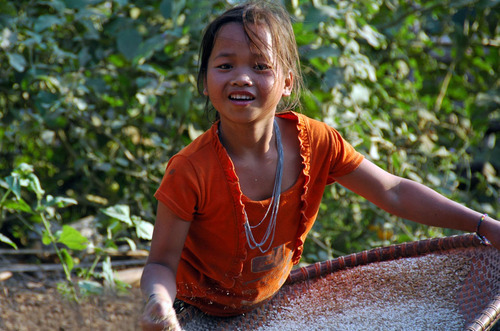 Why don't you join the contest with your pictures and tell us how you see now moving ahead Laos. Below you find the photographs (with an explanation) submitted by the editor. 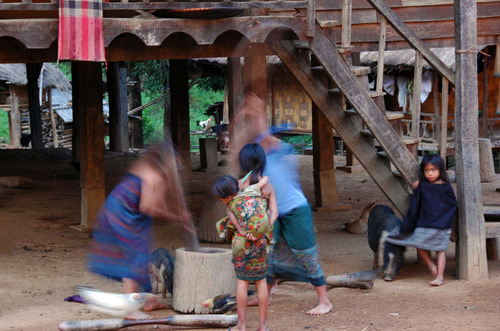 People in remote Lao villages have been living the same way for ages. 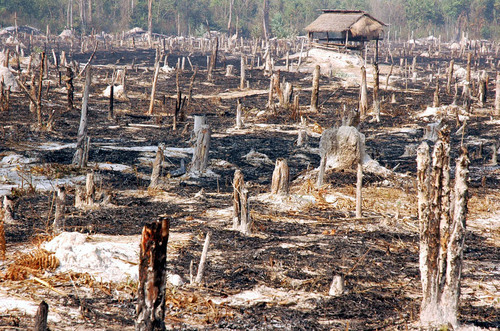 When the villagers have to move ahead, they will cut another part of the forest and burn the remains. 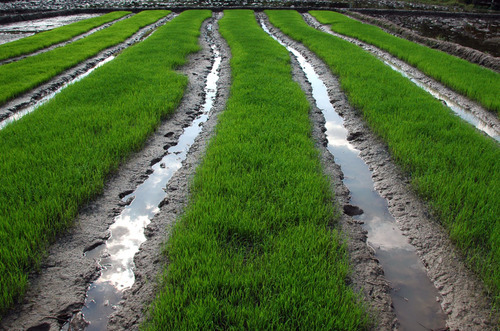 Rice is grown, harvested, pounded and sieved. The yield provides the staple food for the villagers.